When restoring a classic vehicle of any kind, one of the most important aspects are parts and their availability. In case of restoring a classic Chevrolet car or a truck, potential restorers have a wide range of choice and lots of companies from around the world which produce parts, components and pieces for classic Chevrolets. Since Chevrolet is a part of General Motors, the best advice is to thoroughly research technical specifications of your project vehicle, since all Chevrolets are closely related to each other and other GM produced cars. This means that Chevrolets use engines, drivetrain, suspension components and platforms, and even some body panels with various other Chevrolets, as well as some Pontiacs, Buicks or Oldsmobiles from the same time period. Likely this will be the case, so buying similar donor car is a good way to start the restoration process. Restorers who are looking for total originality and high scores in Concours type shows may be tempted to search for original NOS (new old stock) parts and these are indeed valuable and rare items. However, some NOS parts like rubber sealings, shock absorbers, weather striping, electric cables and rubber hoses are not recommended for use because quality of the part has deteriorated over the years. For some Chevrolet models, trim and interior pieces are no longer produced, so NOS is the only way to go. https://www.npdlink.com/store/ : National Parts Depot is a company that sells parts for various American cars and includes Camaro, Chevelle and Chevrolet truck parts. NPD offers a free printed catalog with parts numbers and pictures delivered to your door, so ordering a catalog from them is a good idea before the start of the restoration. http://www.corvetteamerica.com/cf/default.cfm : If you are planning to restore a Corvette, Corvette America is the best place to start your search. They offer parts for Corvettes starting with the early 1956 model, all the way to modern ‘Vettes. However, some of the early model body and trim pieces are not available as reproductions, and can be costly. http://www.edelbrock.com/automotive/ : Edelbrock is a well-known name in the business and it’s dedicated to engine parts. If you want to buy stock or performance parts, Edelbrock has it all. 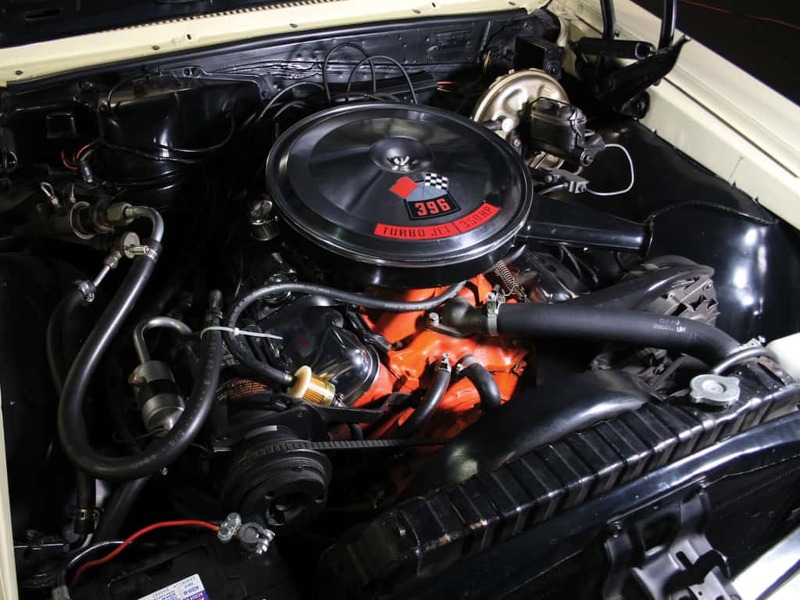 http://www.chevrolet.com/performance/crate-engines.html : If you want to restomod your classic, Chevrolet offeres a wide range of crate engines with modern technology and big power, straight out of the box. https://cokertire.com: Of course, no restoration will be complete without a proper set of tires and Coker tire has rubber for every occasion. From whitewall ’50s style to redline ’60s muscle car tires. Here you can find a nice selection of reproduction wheels and accessories.